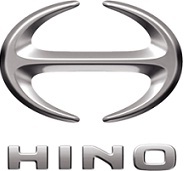 PT Hino Motors Sales Indonesia (PT HMSI), the main distributor of Truck & Bus “HINO” in Indonesia, the market leader brand for commercial vehicles and a leading company in developing advanced trucks and buses, and also the pioneer in producing environmental friendly commercial vehicles, is seeking for highly dedicated, dynamic and motivated individuals to support our business expansion with qualification as follows. Bachelor's Degree, Engineering (Mechanical) or equivalent. Good time management, team work, and willing to work over time. Candidate must possess at least a Bachelor's Degree, Management, Economics, Finance/Accountancy or equivalent. Candidate must possess at least a SMU or Diploma, Engineering (Mechanical) or equivalent. Preferably Staff specializing in Engineering - Mechanical/Automotive or equivalent. Responsible to develop and maintain good relationship with Media (local and national newspapers, magazines, radio and television). Responsible to maintain company website & other social media activities. Responsible to write press release, media interview, arrange press conference, fostering community relations through CSR, etc. Monitor & liasing with media to keep up to date with current issues.